I suppose this is my first official post for 2016. With 2015 ended pretty exciting, but not very well. Things at work were difficult with the recent economic dilemma going on. The more reason why I need a little break of my own. 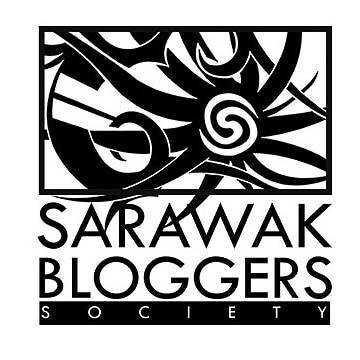 Thanks to the Sarawak Bloggers Society and the Batik Boutique Hotel, I had an awesome weekend staying in. I first heard about Batik Boutique Hotel from a colleague not long ago. He was saying that, if you are looking for a great charcoal burger, you must try the Batik Boutiques’ burger. I guess the burger is not there anymore. I reached the hotel on Sunday afternoon around 2pm because I was informed that we can have our check-in around that time. Little that I know, the others will be joining me later just before dinner. A little bit stunned by the news, I just hang back there while waiting for my friends to arrive. While waiting, the hotel greet me with a warm welcome by serving me slices of Batik Cake and Blackcurrant juice. I was very excited when the hotel staff hand me my room key. According to the staff, we were offered 4 types of room. 2 of them are facing the courtyard, 1 facing the city and 1 interior room. All of these rooms has their own unique designs. That day, I chose the room with the city view. Apparently, the room that I had was the only room with bathtub and interconnecting bathroom and the main room. Basically, you can watch your satellite tv while soaking yourself in the bathtub. The rooms are separated by a sliding door. It was a bit dark inside the room. I should’ve open the curtain before snapping the picture. The bathroom view shot from the main room. No, it wasn’t transparent, the room is separated by a sliding door. Anyway, while waiting for dinner I took my time exploring the places and attractive locations around the hotel and the city. For you out there who are still wondering where the heck is this Batik Boutique Hotel is located, it is just a couple of shops next to the Five Foot Way Pub & Bistro, literally opposite the Great Wall Photo camera shop and across the Borneo Rednecks Pub and Bistro. While roaming around Kuching city that evening, I went for what I called Graffiti Hunting. Technically looking for some deviant wall arts around the city. Surprisingly enough, there are so many graffiti arts can be found throughout the city. There are many more that I couldn’t snap, most of them are around Satok area and the main city, but I promise I’ll get them into my collection soon. Back to the hotel, that evening we had a very nice Japanese cuisine as our dinner at the Nagoya Japanese Restaurant. I will talk more about this on my next post. After the dinner, we had our chit-chat and catching up at the courtyard. According to the hotel owner, Jackie, the courtyard used to have a jacuzzi tub, but the tub have to be removed due to some cracks and leakage. However, even after the removing the jacuzzi, the courtyard is still a great place to hangout with friends and relax while having your evening drink. We were having so much catching up till we didn’t realize it was already midnight…or maybe it was because of the strong coffee…hmmm. The next morning before checking myself out, I had chance to have the hotel’s amazing breakfast platter. Not superfly, but definitely the best for a Monday morning rush. Simple and delicious! How much is the room rates and how do you contact them? The published rate for the rooms is RM280.00/night, but this rate will change subject to occasional promotions. You will get an amazingly low rate during off peak season or the rate might hit the roof during peak season, for example during the Rainforest World Music Festival (RWMF). Overall experience, I would say I’d love to go back to this place again. Being a boutique hotel in the middle of the city is definitely one of a kind place to stay. Everything is accessible in just a few steps out from the hotel, including travel agents, shopping malls, cinemas, pubs and bistros, 24/7 convenient shops and lots more. The rate might not as cheap as those budget hotels, motels or B&Bs around the city, because they are not budget hotel and their service is pretty awesome. Don’t forget to check them out when you are dropping by and looking for a one of a kind place to stay in Kuching, Sarawak.